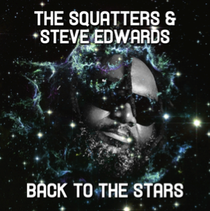 UK DJ and production duo The Squatters team up with house vocalist Steve Edwards on the vocals for ‘Back To The Stars’, an uplifting house track with polished percussion, feel-good vocals and big breakdowns. The Squatters, aka Oliver Portamento and Alex Powell, have gained support from Kissy Sell Out and previously remixed for some of the biggest names in the industry including Kissy Sell Out, Shinichi Osawa and Kryder. The latter was picked up by Tiësto’s music label Musical Freedom, and subsequently gained them fans among the EDM elite from Annie Mac, Calvin Harris and Judge Jules right through to Krafty Kuts. The boys are not just restricted to remixes either, with past releases on the likes of San City High, not to mention their own recently launched label What’s Your Status? ‘Back To The Stars’ is delivered with a decent remix package to boot, as D.O.N.S. and Fei-Fei step up to put their own unique spin on the track. The Squatters also go to work on the track with their own original and club mixes, plus an instrumental and radio edit. It’s out December 9.